Five juveniles, including a 12-year-old girl, have been charged in connection with the fatal shooting of a 24-year-old man from Carlisle in Nashville, Tenn.
Three girls, ages 12, 14, and 15, and two boys, ages 13 and 16, were charged Thursday night with criminal homicide in the death of Kyle Yorlets, the Tennessean reports. Nashville Metro Police said Yorlets was shot outside of his residence in the 3200 block of Torbett Street in the North Precinct. Yorlets then made it back inside, and was discovered by his housemates at 3 p.m. Thursday. 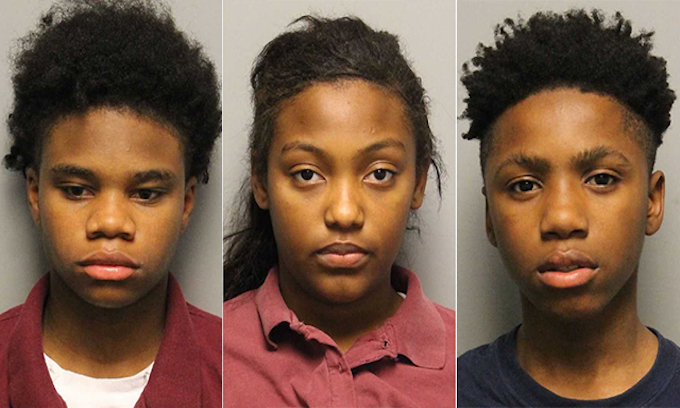 Police told Tennessean that the five juveniles were arrested at the West Nashville Walmart, and that a gun and a stolen car were recovered. Yorlets was attending Belmont University in Nashville and worked at a restaurant. He was also a member of the Nashville-based band Carverton. Yorlets is listed as the band’s vocalist on the band’s Facebook page. Carverton is an American Pop/Rock band currently residing in Nashville, Tennessee. Carverton was founded by Kyle Yorlets and Michael Curry in the summer of 2014; realizing that their unique sound would fit better in a different setting than central Pennsylvania, the boys set off for Nashville with a couple guitars and goofy grins. Since the 2016 addition of drummer Christian Ferguson and bassist Michael Wiebell, Carverton have travelled the eastern half of the United States spreading the gospel of new-age Rock N Roll. The band released its debut album “Carverton” in 2017. We never had this total disrespect for human life inculcated into the minds and morality of our American youth before Roe v Wade. Teach the children that innocent life in the womb that “Gets in the way of immediate gratification” is meaningless and disposable, and it soon matriculates and matures into the form of living adults. The law of unintended consequences runs true to form. Agreed. Back before the stinking 60s, you NEVER heard of a teenager, let alone a pre-teen going on a shooting rampage, or murdering someone. OR WORSE a pre-pubescent kid, killing her own friend.. Since then, the rate of kids killing others, just seems to keep rising. AND IMO ANY KID That does this sickening act, should be treated JUST LIKE AN ADULT< and sentenced to death row. IS THERE REALLY A DIFFERENCE BETWEEN YOUNG BLACKS AND YOUNG WHITES? IF SO, DO THE LIBERAL HAND-OUTS HAVE A ROLE? Who knows anymore. Those 2 gals who lured their friend out to kill her, were white. Kids of semi-rich parents.. So that had nothing to do it. “5 blacks murder white man”. There, fixed it for ya. The MSM will NEVER report it that way, if they report it at all. All they’ll report on is the Deed. Not the race of the perps. If the MSM actually reported the true level of black on white violence people’s jaws would drop. It is at epidemic levels but you would never know it by watching the news on TV as it is hush hush. Instead they try and guilt white people into believing that they are the racists by preaching white supremacy and white privilege. When a black male child is born into a household ridden with poverty and there is no male authoritarian figure to discipline them, once they have a run in with law enforcement that spells out what’s right and what’s wrong instead of seeing reality and changing their ways, they rebel even further by the messages they are getting from their community spokespersons telling them that “the man” is just trying to keep you down and imposing their “white” law on you. Is anyone really shocked by this story? If you are you really need to pull your head out of your rear end and wake up. One of the favorite activities that these black youths engage in is the knock out game and another are criminal flash mobs that descend upon a merchant’s store like hordes of locusts cleaning out their inventory. They truly have no impulse control or sense of consequences for their actions as it is more often than not excused. Thank the libtards especially the Johnson administration from the ’60s with their war on poverty that preached to black women that they didn’t need to depend on a husband for support as the government would step in and reward them with welfare payments for bearing kids out of wedlock. Libtard social engineering at its worst!! Which is why for years, i’ve said maybe we should STERALIZE those on welfare.. So they don’t keep popping kids out. No comment is needed, their actions speaks for itself. To the PARENTS of these young people: GREAT JOB rearing your children to occupy a jail cell for the rest of their lives! Why didn’t you just follow the Democrat dream and ABORT them? I’ll bet you even voted for the Dems to stay in office. Well, here’s your reward … kids going to prison! They deserve the death penalty but we all know that won’t happen. How do you know these savages HAVE two parents! there’s no rearing. only breeding. They had better be tried as adults, and I hope TN is a capital punishment state. Stay away from this, Sharpton. Wonder if this was a hate crime? The news media in our country is sure quick to report a hate crime when the offender is white, but why not the other way? News media always seem to push the Hate agenda. Naw, I’m sure these fine upstanding youth loved their victim. These amoral animals probably won’t spend more than a couple years locked up. Too bad their mothers didn’t seek out Dr. Gosnell while he was still free. Yea, the dunces who run PA, will likely NOT seek to charge them as adults, so even if they got 20 years, they’d all be out as soon as they hit 18. The AGES of these killers is what is so chilling. Abortion cheapens the respect for life. This is what happens when you banish religious values from our culture. No Golden Rule allowed. black savages, incapable of being trained to live in civilized society. Where’s the outrage? Where’s the riots? Oh, that’s right, they killed a white person, no hate crime there…these thugs aren’t aren’t capable of feelings. Well, they’ll learn, when they go to prison and become someone’s “love cushion”, that life isn’t fair. Exactly. Had these 5 kids killed a black person, we’d get inundated 24/7 with news about it, riots in the streets, politicians chiming in etc. BUT BECAUSE they were black and the victim white.. NUTHIN! Even though these are not foreigners, this cruel crime of robbery & murder by very young people for their personal self-gratification is example of familial inbred entitlement that is the most important reason why USA must require every foreign migrant be identified & vetted for character, criminal history, education, self-sustainability & likelihood of assimilation before they are allowed to step foot on our soil. Adults who feel entitled to disregard laws in order to benefit themselves & who have no concern for welfare or rights of others breed & rear their children to be the same. Italian migrants were able to import the mafia crime culture to US because we had no migration standards in place at time. Now we have standards but lousy self-serving Dem politicans refuse to enforce them. We are being forcefully overrun by mass numbers of foreign migrants who couldn’t care less about laws or anything or anyone who stands in way of their own personal gratification & their children are being reared to do same. That is why we now have a proliferation of MS13 & other vicious gangs of foreign origin as well as future Islamic terrorists forming in p!aces all over our nation.